Upholding one’s dignity is an important mission in the healthcare industry and it needs to be lived out for every care and client involved. As for the client, it is their every right to have the chance to screen a caregiver whom they are about to take on, and for the healthcare provider, it is their duty and obligation to have and endorse employees who are fit in mind and body to give out responsibilities needed for Home Care in Lincolnwood, Illinois. Although this is already part of our senior homecare services in Lincolnwood Illinois, having someone whom you are comfortable with to do your errands and shopping can be an easy task to ask on behalf of your senior loved one in need of assistance with Activities of Daily Living (ADL). Considering that companionship is already a service being provided to homebound seniors, they can still benefit from genuine companionship when they have caregivers whom they are friends with. Having an easy connection with your caregiver allows you to be more open and less restricted with your care needs, especially when you have health concerns that you would like your caregiver to know. The last but definitely never the least of importance: when you are comfortable with your caregiver, you can eliminate awkwardness to leave room for trust. Although there have been reports on different media about caregivers who have abused their patients, the process of carefully choosing a reliable healthcare provider and caregiver eliminates the fear of putting your loved ones into the hands of a potential transgressor. 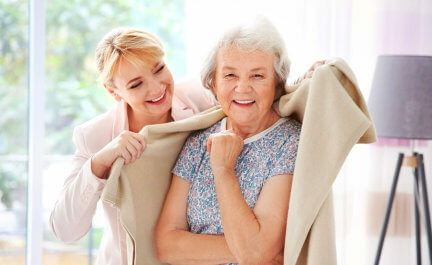 It is only right that you exercise caution when it comes to the safety of your senior loved ones. Because being careful about your care services can save your loved one’s life. BRC Access Care, Inc. cares for families and their future caregivers. If you are in need of a caregiver, send us a message and we will get back to you as soon as possible. This entry was posted in Caregiver and tagged Care Provider, Elderly Care, Home Care. Bookmark the permalink.